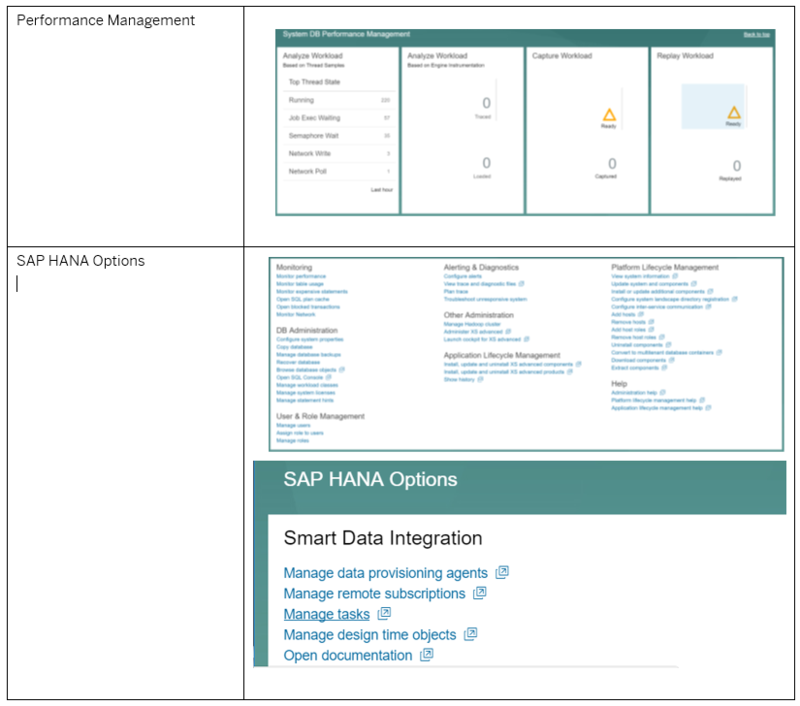 HANA 2.0 Cockpit was introduced in SAP HANA 2.0 SPS 00 and absorbs functionalities of SAP DB Control Center. 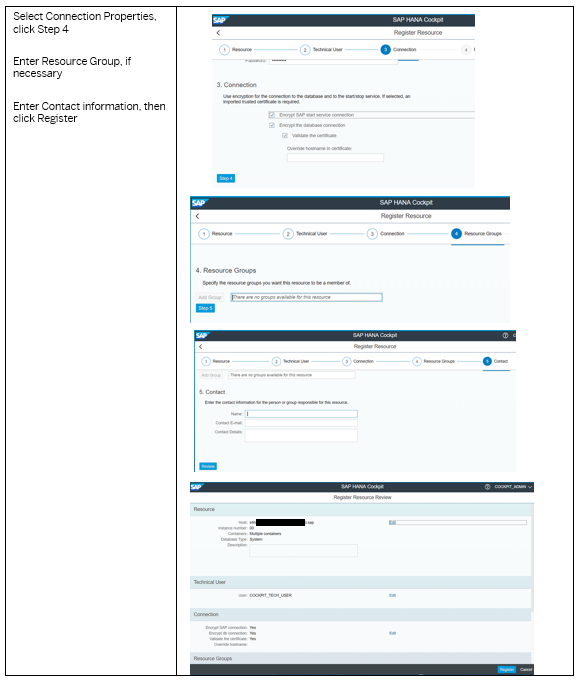 This tool is built as an SAP HANA XS Advanced application and uses SAPUI5 user interfaces. HANA 2.0 Cockpit is installed as a single stack but does not require a dedicated instance of SAP HANA to operate. In the future, the SAP HANA 2.0 Cockpit will be the main and only native tool for administration and monitoring of SAP HANA databases, running both on-premise and the cloud. 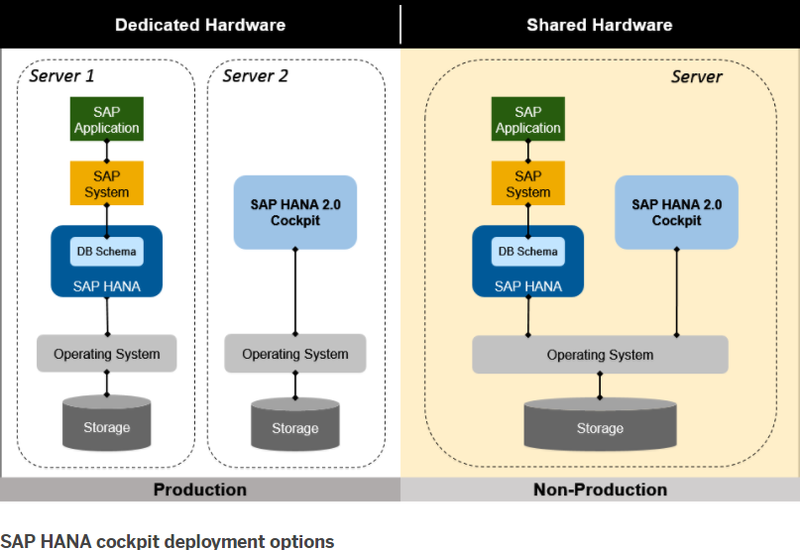 Unlike the previous release SAP HANA Cockpit 1.0, cockpit 2.0 comes as a separate SAP HANA system. It runs on a special version of SAP HANA, Express edition with an XS advanced runtime environment included. You can’t deploy cockpit as an XS Advanced application on an existing SAP HANA instance nor can you deploy XSA applications to HANA Cockpit. 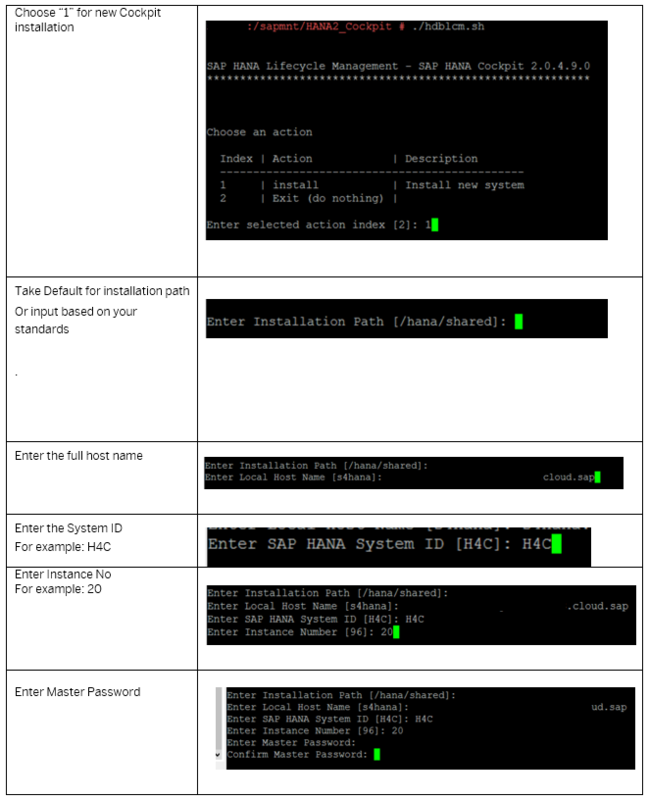 It is recommended for a production environment to install the SAP HANA Cockpit on a dedicated hardware. 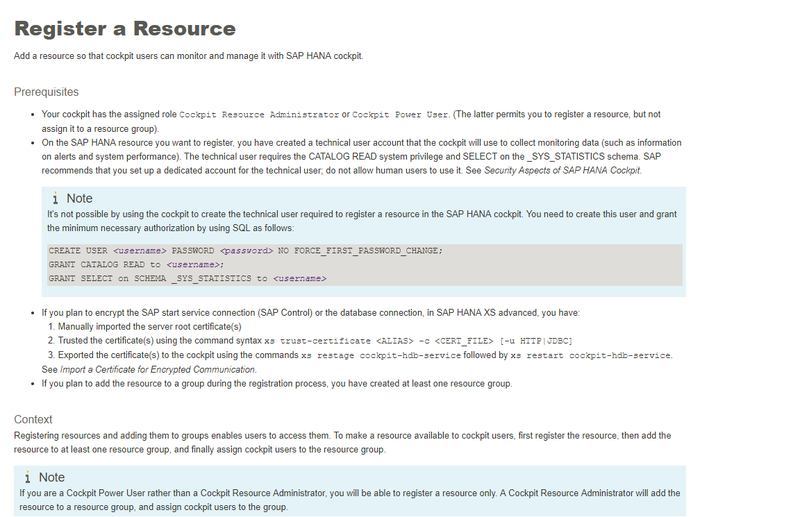 For non-production, you can deploy on an existing SAP HANA server as discussed in the SAP HANA Cockpit Installation and Update Guide. SAP HANA 2.0 Cockpit requires a minimum of 16GB RAM but may need more depends on the number of systems monitored. It is important to review installation and upgrade guide and SAP Notes to get hardware and operating system requirements before installation. 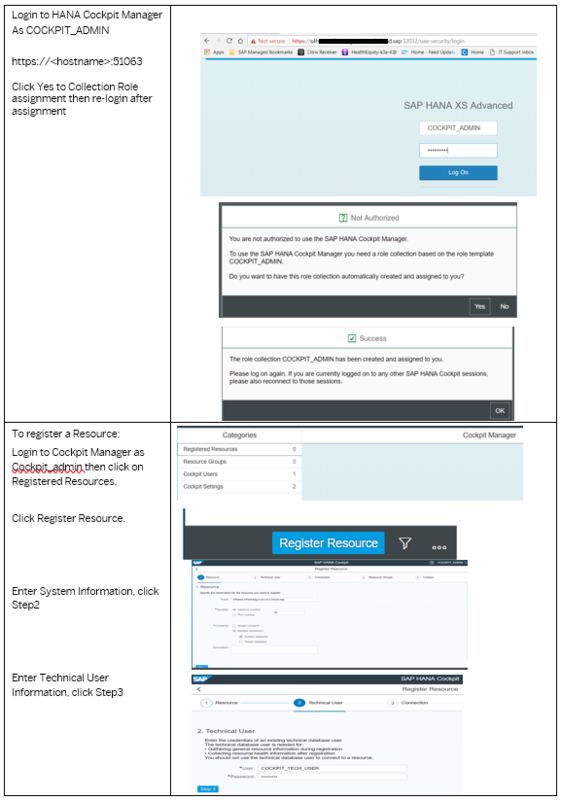 Once you successful install HANA Cockpit, you need to login to Cockpit Manager portal to configure Resource Groups, Register Resources, and Cockpit users. You can download the complete document here . 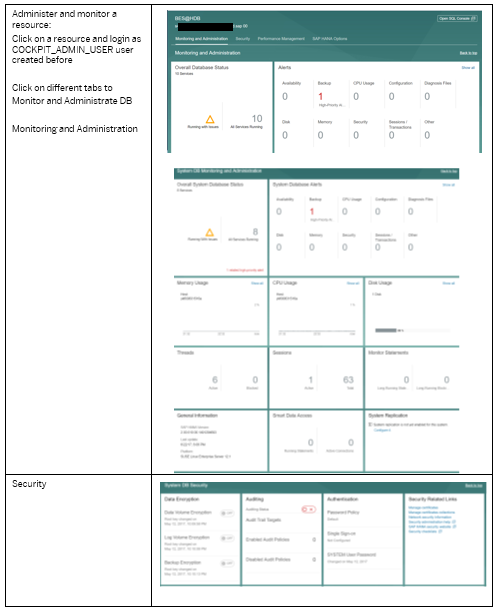 Hope you can follow the document to install and configure HANA 2.0 Cockpit in your environment and successfully monitor and administer multiple HANA databases. If you have any questions or comments, please post in the comments section. …while I can log on with him via HANA Studio. It is possible only on the SYSTEM user (not recommended). I still don’t find answer why. For a user to qualified to be a technical user, he needs CATEGORY READ permission, and also best give him _SYS_STATISTICS object privilege also. Why installer do not ask for /data /log location and try to create it in ../shared ? is there a way to set these paths? True, he did not ask me too and located in /shared. is the mentioned port 51063 fixed for Hana Cockpit? don`t know yet, how to change those ports. I successfully installed Cockpit via this document, many thanks. Also managed to register a resource, but when i try to access Cockpit from Cockpit Manager (or directly) i have only blank screen. 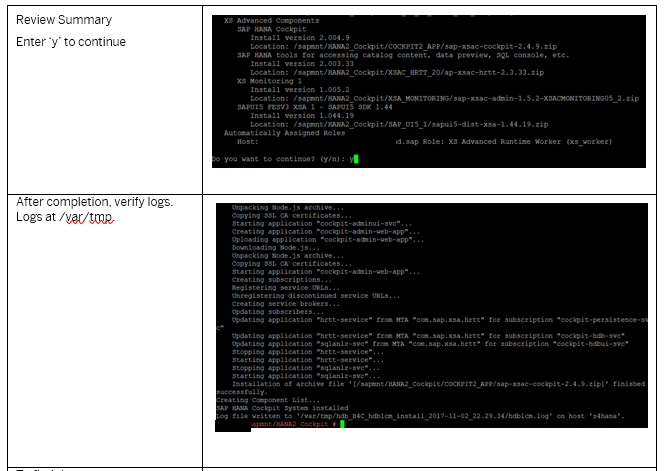 SAP note 2255759 describes this issue, but it looks like it`s for old cockpit as those roles are not available. Any ideas? I also had to apply SAP note 2535229 during installation.